Since Jenks’ founding in the early 1900s, Main Street has been an epicenter of activity and commerce. In the early days, the streets were dusty trails moving people, horses and, eventually, motor vehicles through the community. Jenks was founded as a stop along the Midland Valley Railroad Company’s tracks. While most traces of the town’s railroad founding are gone, a single train track still runs through Main Street today, still used to transport goods. As the oil boom at the Glenn Pool arrived, Jenks’ population exploded. As the oilfield workers sought shelter, tent homes popped up across Jenks. As the oil boom faltered in the 1920s and the Great Depression took hold, oilfield workers left and were replaced by an influx of Bulgarian farmers, who gave way to a new economy. As the twentieth century progressed, the dirt roads and carriages gave way to paved streets and motorcars. During this time, Main Street began to take shape and resemble the downtown Jenks visitors see today. Throughout Jenks’ history, the city was plagued by the floodwaters of Polecat Creek. Floods in 1922 and 1923 were especially bad, covering most of the town, save for the railroad tracks, in water. Floods continued throughout the first half of the twentieth century and in May 1957, nearly breached the newly constructed levee, funded by a 1948 Jenks bond vote. After construction of the Keystone Dam, flooding in Jenks became less of an issue than in the early days. In 1986, however, an abnormally large release of water from Keystone Dam nearly breached the levee, and the town was evacuated as a precaution. Economically, downtown Jenks mirrored the rest of the nation. During the 1950s, a variety of hardware and clothing stores stood side by side with restaurants and offices as citizens of Jenks went about their work. As the 1980s arrived, downtown Jenks followed national trends as Main Streets across the United States struggled. 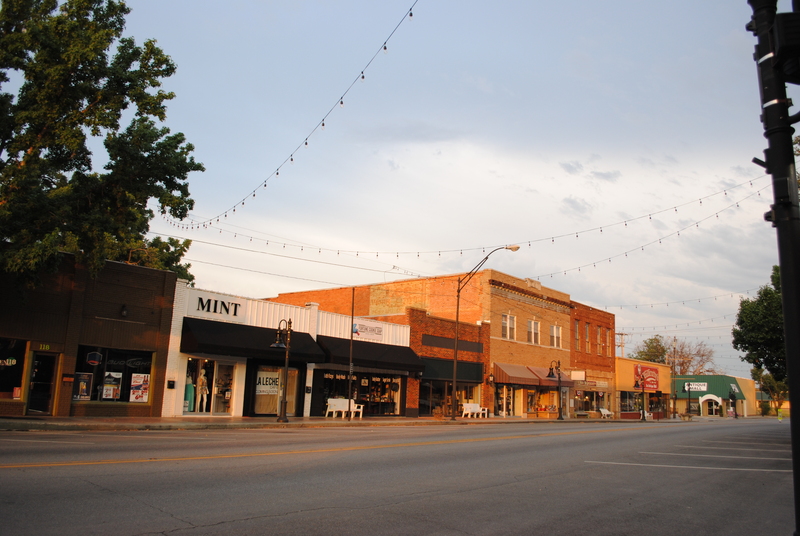 City leaders, in order to reverse this trend, established an antiques district, recruiting and encouraging antique stores to locate in downtown Jenks. Currently, downtown Jenks is in the midst of another renaissance as the Jenks Chamber of Commerce, the Jenks Chamber of Commerce Community Foundation and the city of Jenks partner with businesses, artists and community leaders to create the Arts and Antiques District. 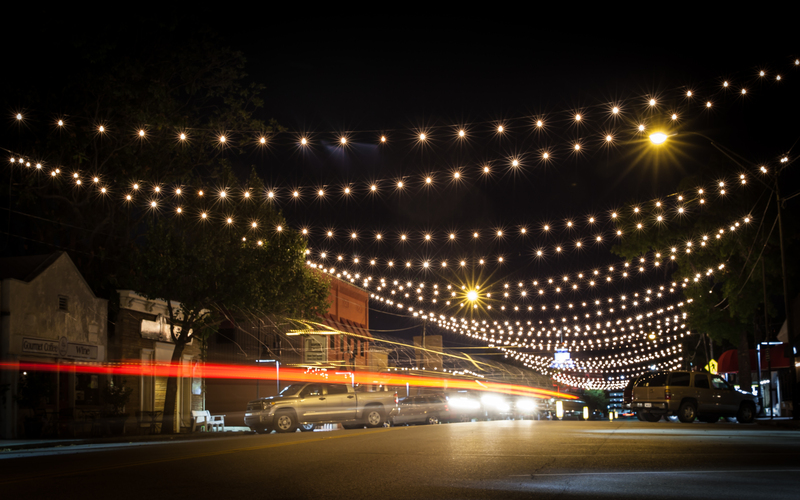 Downtown Jenks plays host to many of the Tulsa area’s most popular events including the Herb and Plant Festival and Art on Main. For more community events, check out our events calendar. Today, downtown is home to boutiques, antique stores and malls, restaurants and a variety of other merchants. Merchants who operate in downtown Jenks have varying hours and should contacted for specific times of operation.